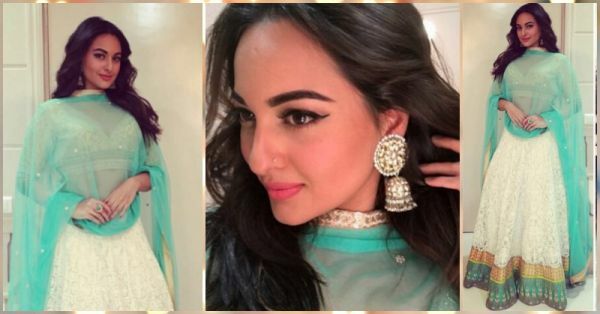 How To Steal Sonakshi’s Summery Look For Your Next Sangeet! For all the weddings lined up in the warm months, let’s skip the reds and the pinks and try something hatke! 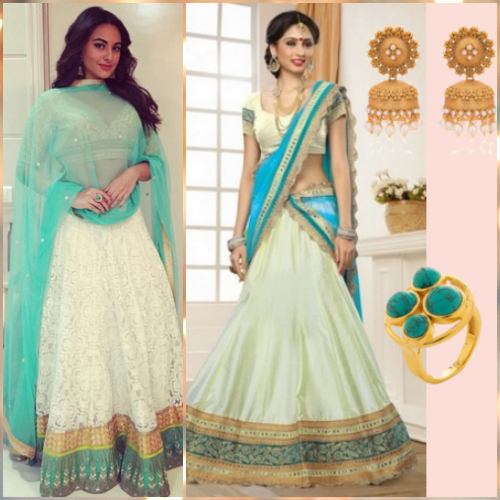 This summer, get a refreshing vibe with Sonakshi Sinha’s ivory and mint lehenga-inspired outfit and look stunning in this radiant combination! Here’s how you can nail this fashionable look! This gorgeous colored ensemble just spells out magic and elegance in one breath! We love the way the colors are married so flawlessly, and will only add more grace to your already charming personality! The fresh color of the dupatta is just so effervescent that this makes it to our must-have list! We are in love with this contemporary four stones ring! The dash of color with the gold make it the perfect accessory to go with the lehenga. 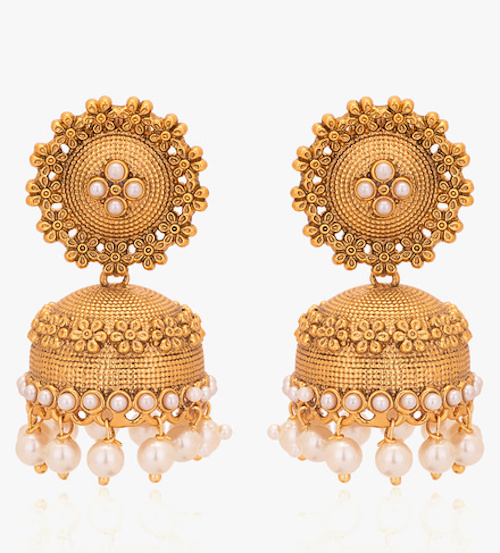 Just finish the look with this and you are all set to dazzle at the sangeet! 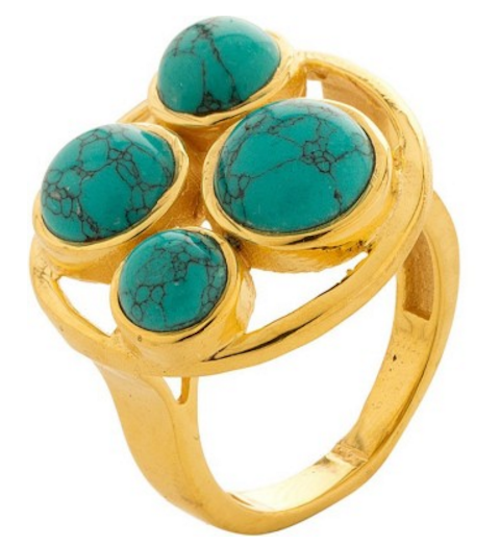 POPxo Recommends: Turquoise Cluster Ring (Rs. 470) Featured Image: Chenar Desai On Instagram, Maheep Kapoor On Instagram HAVE A STORY IDEA FOR POPxo? If you want to hear about it, we can write about it! Just tell us your idea here! MUST-READ: How To Steal Anushka’s Beautiful Sari Style For Your Farewell! MUST-READ: How To Steal Alia’s Super Fun Look For Your College Fest!